11 Christmas Songs 4 VINTAGE 45 RPM Peter Pan Records Frosty The Snowman MORE!!! 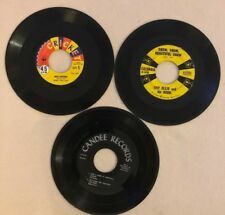 3 Christmas 45rpm Records 7 Songs: White Christmas More!! !